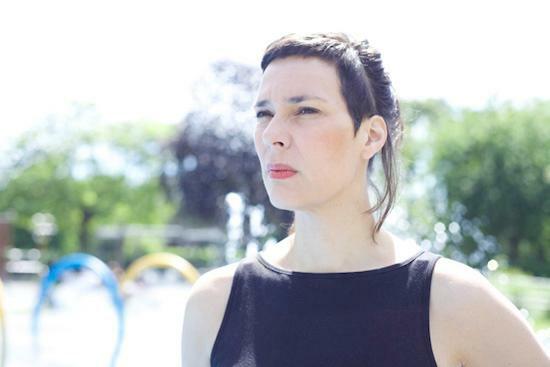 Laetitia Sadier is an artist who keeps on moving forward. This was certainly true of Stereolab, the acclaimed and influential band she formed in 1990 with then-partner Tim Gane, which never rested on its laurels but continued to develop and experiment over the course of ten full-length studio albums and a multitude of other releases. Since Stereolab called an indefinite hiatus in 2009 Sadier has applied the same restless, questing spirit to her solo career, creating new hybrids from existing musical forms, and her latest album, this year's Find Me, Finding You, is no exception. The LP was recorded with her new band, Source Ensemble, a seemingly open-ended collective in the studio but on stage made up of drummer/producer Emmanuel 'Emma' Mario, bassist Xavi Munouz and keyboard player Nina Savary. As we speak Sadier is taking a brief break at home in London between the band's well-received European tour and a lengthy series of American dates throughout August and into September. Sadier and Source Ensemble then touch down in the UK for Liverpool Psych Fest, before heading off for shows in Australia and hopefully New Zealand. Sadier's forward-looking attitude is reflected in her choice of records, with six of the 13 coming from the past four years. Rather than look back to music that may have been a formative influence in her childhood or teenage years, Sadier has instead chosen to celebrate the great music being made now. She's also chosen several records by artists she's worked with in one capacity or another, but this isn't nepotism: merely an infectious excitement and pleasure in the impressive sounds being generated from within her own community, as well as sometimes overlooked classics from longer ago and further afield. "That's what these things are for also, I think," Sadier says. "To not go for what's going on at the moment, which we all love, but we all know. My outlook is that some people are putting out remarkable albums and it's an opportunity for those albums to be acknowledged somehow. Particularly in the last two years a lot of my friends have been doing their masterpieces. It's really peaking; after years and years of work, they finally get to their masterpieces. It's just incredible to witness that, over the years. I try to live in the present as much as I can. I'm not so nostalgic."